I am thrilled today to be kicking off Lynn Cullen's Blog Tour for Mrs. Poe with HF Virtual Book Tours! I have a chance for one lucky reader to win this phenomenal book, see below for more details on the giveaway and Blog Tour. For more information please visit Lynn Cullen's website and blog. 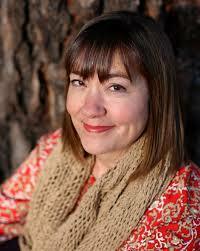 You can also connect with her on Facebook, Twitter, Goodreads, and Pinterest. 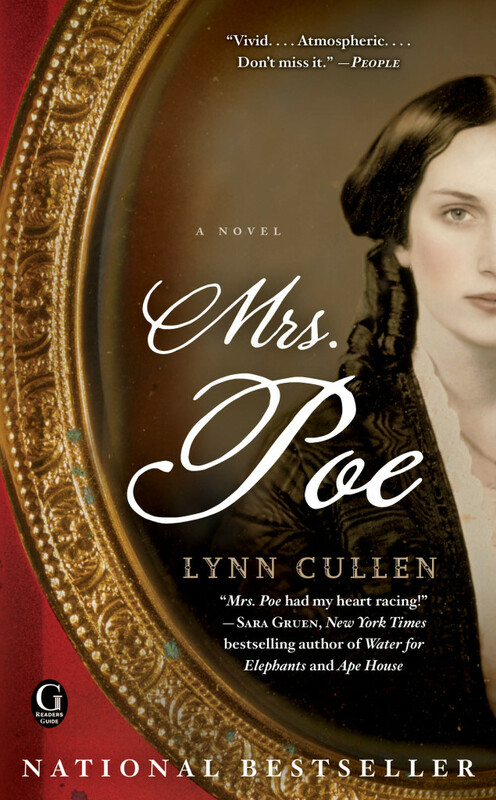 To win a copy of Lynn Cullen's Mrs. Poe please complete the form below. Giveaway is open to US residents only and ends on May 29. I absolutely adored this book! Crossing fingers that I win!!! I have heard so much about this book, would love to read it finally. thanks for the giveaway! This book looks very interesting to me. Thank you for the chance to win. I'm familiar with much of Poe's writings, but have never read anything about the man. This novel sounds like a great place to start. Thanks for the giveaway. I have read a lot on Poe before, but I have never heard anything about this other woman. I would enjoy reading it to find out more. Thanks for having the giveaway. This sounds really good. I've heard that Poe was a pretty fascinating guy, thanks for the chance to learn more about his life. I've read some of this book on NetGalley, and it knocked. my. socks. off. I'm so grateful to find an opportunity to win a copy all these months after that! I loved The Creation of Eve by Lynn and look forward to reading Mrs. Poe. I have only heard and read great things about this book. Thanks for the giveaway! I've heard so much about this novel and would love to win and read! I've been interested in this book for quite some time. Sounds like an amazing read! I don't know much about Poe's life outside his writings. This appears to be an interesting look at his life and the society in which he lived. Should be a good and interesting read. Best wishes for a successful release of MRS. POE. I am intrigued by all things relating to Edgar Allan Poe and have been dying to read MRS. POE. One of my favorite memories of a trip to Philadelphia is visiting the EAP National Historic Site (one of his former residences). I have this book on my wish list. It sounds fascinating. Thanks for the chance to win.